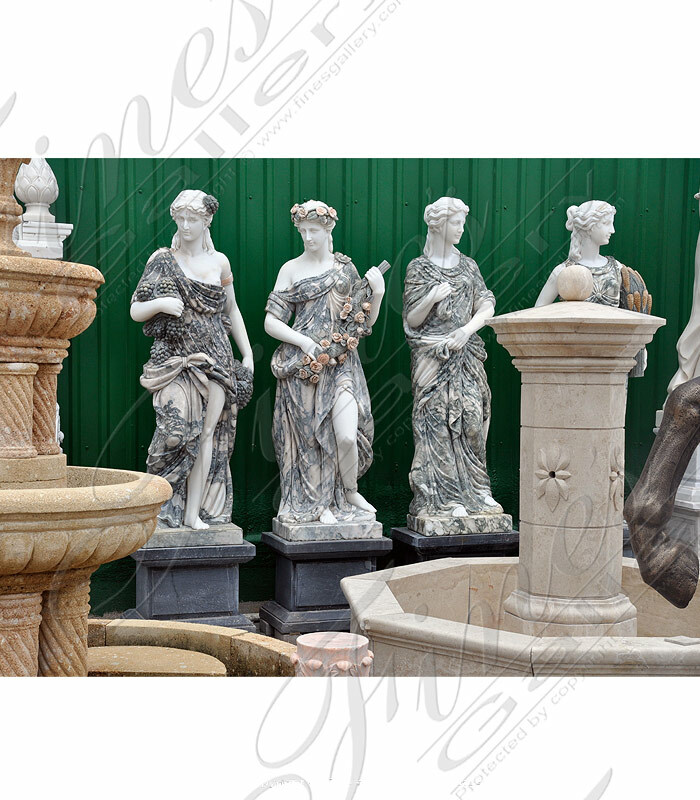 European style Marble Centaur Statues - A truly unique design featuring four centaurs carved with amazingartistry from our antique calcium marble. Each holds a basin on his head that can be filled with flowers. 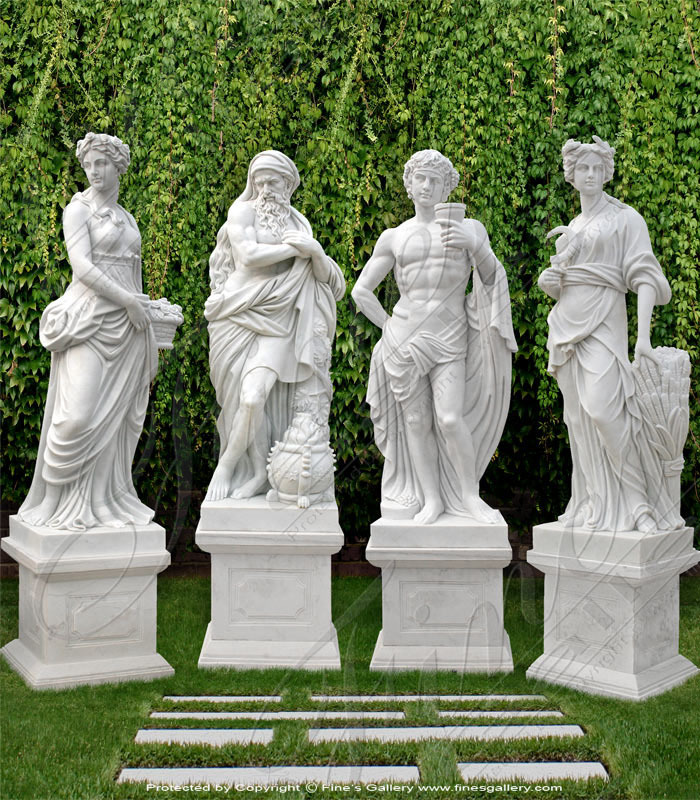 This collection of four incredible marble masterpieces represents a variety of Greek characters. Two female and two male, including a wheat harvester and philosopher,adds sophistication to youryard.You will never grow tired of theircharm! 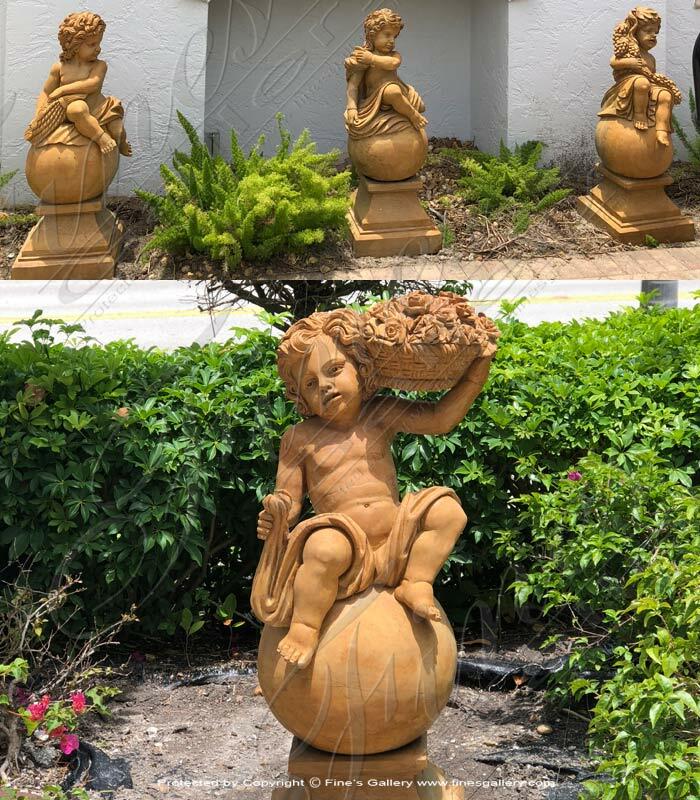 These four elegant marble statues show young maidens holding different items of fruit, flowers, and wheat and make a handsome decoration for the yard. 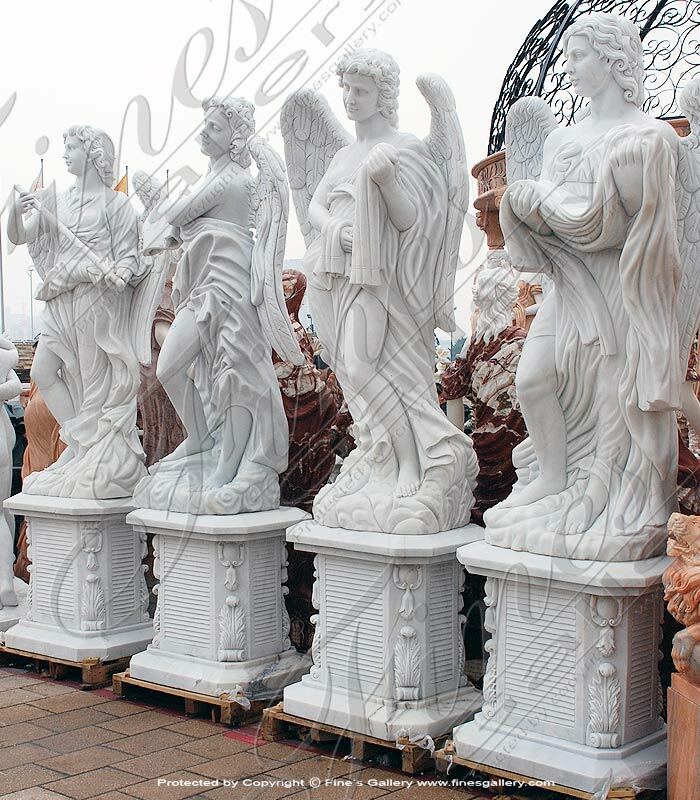 Carved from our stunning white Carrara marble. Give us a call today. 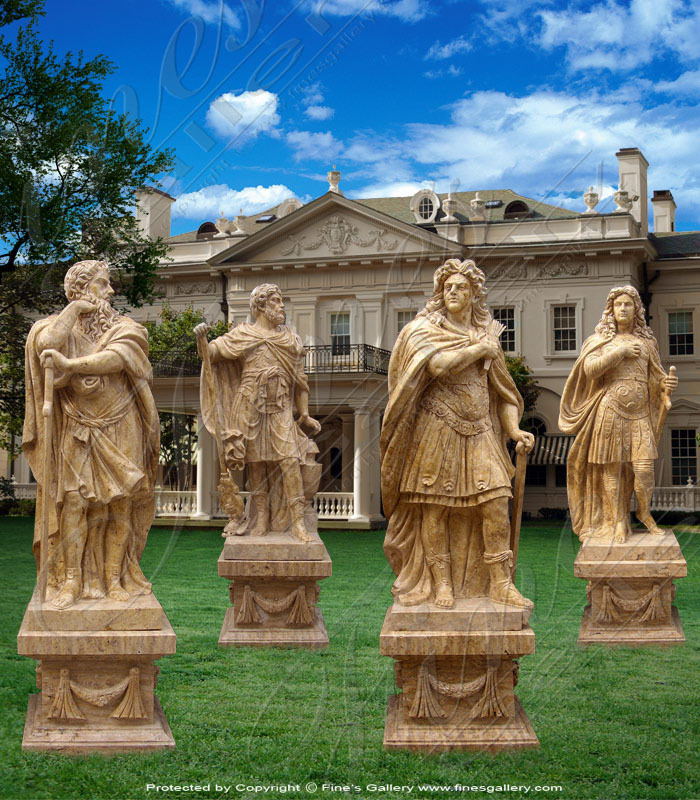 Four incredible statues for your estate! Each one is unique, detailing a beautiful young lady in flowing gowns, with highly realistic artwork. These create a lasting impression when set against a garden wall like the one shown. Contact us today. 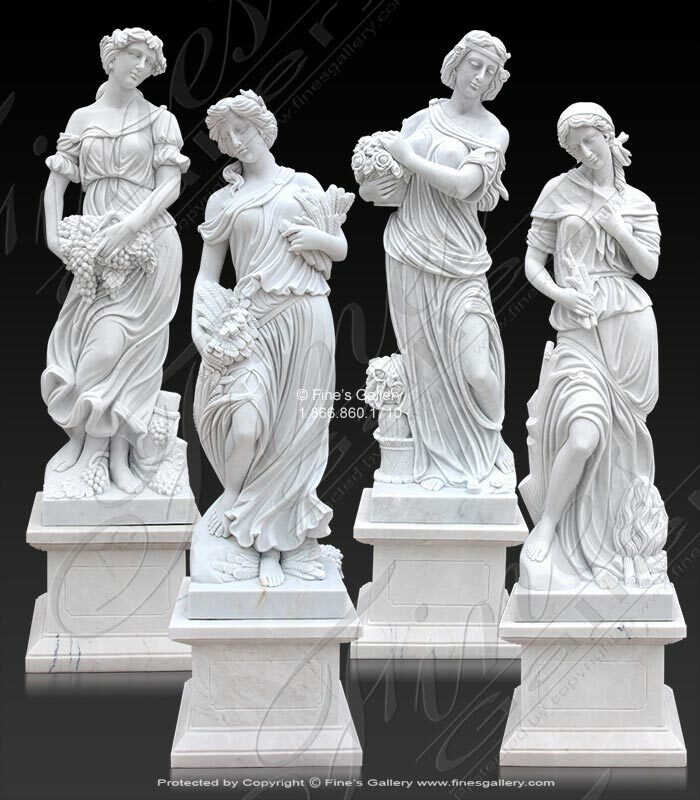 Four seasons marble statue set. Carved from white, rosetta, new zealand green and a very unique honey onyx. 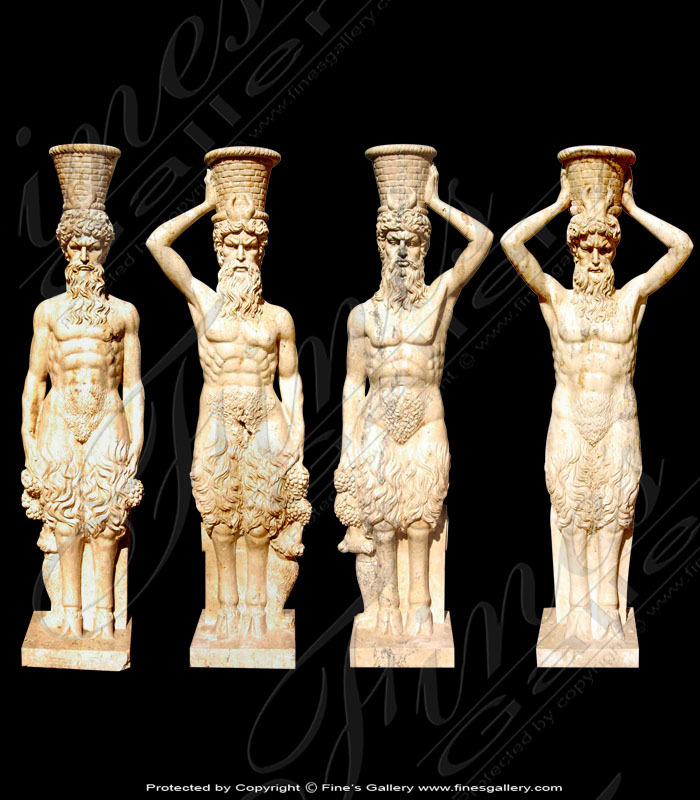 This is a very luxurious statue set, the only of it's kind available. 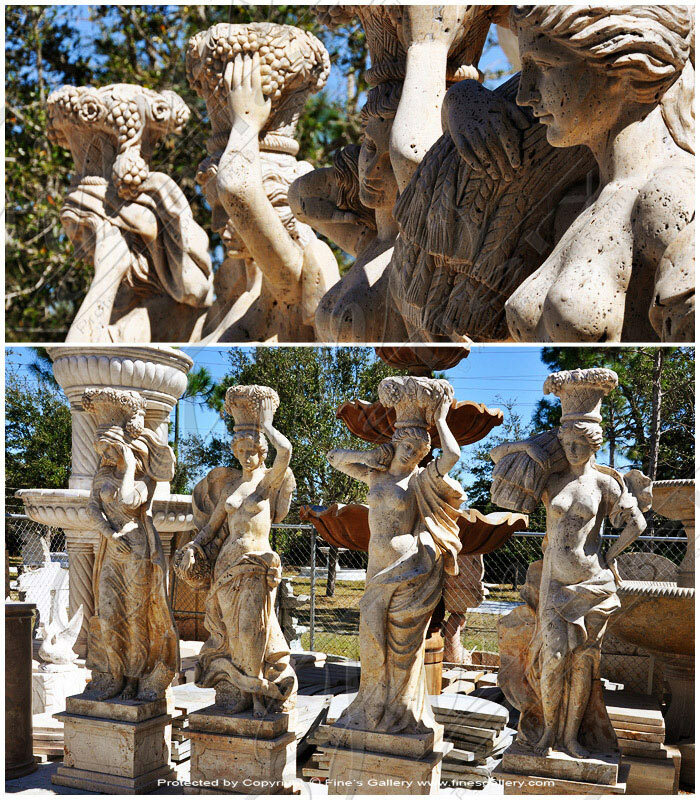 All of our statues are hand carved from solid blocks of natural stone! 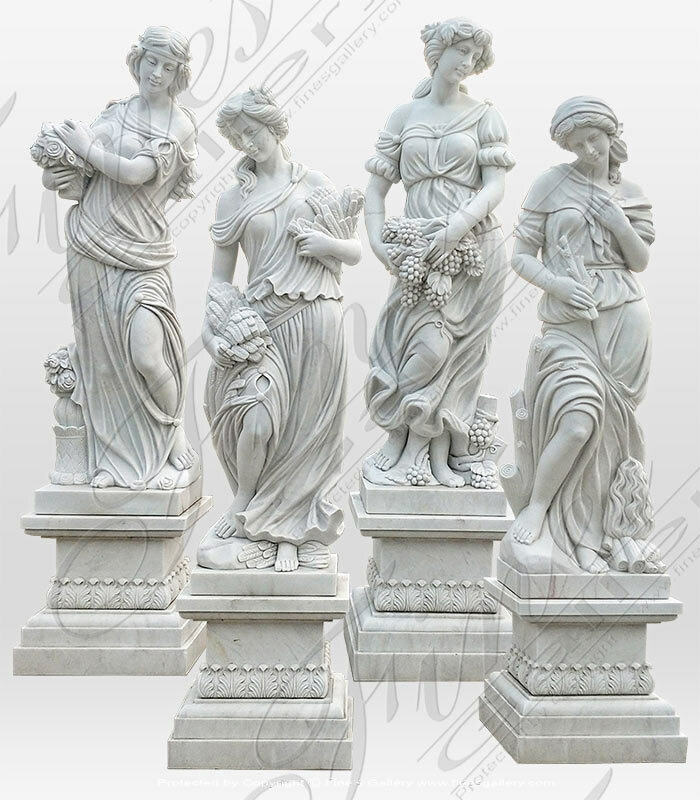 Four Seasons Marble Statue Set in White Marble included with four pedestals. 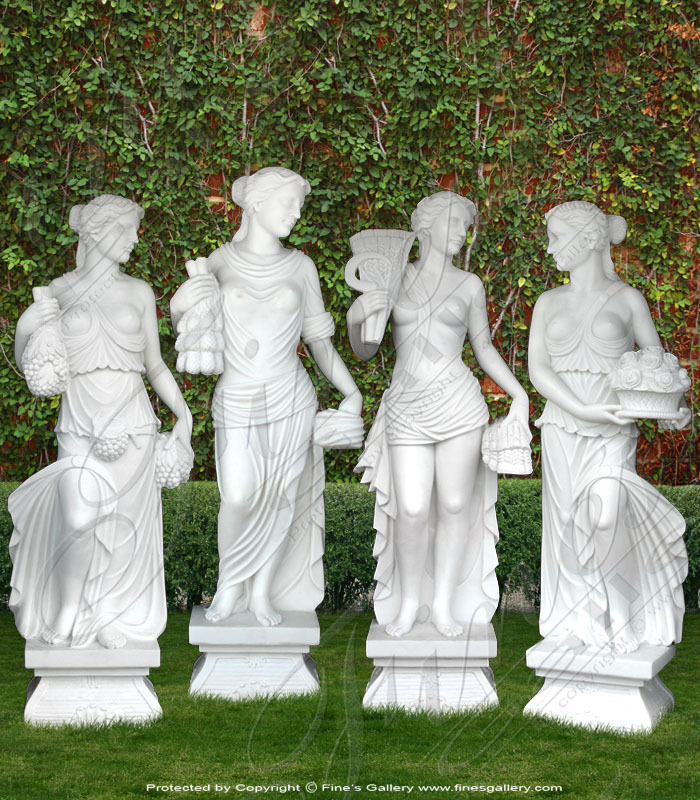 These amazing sculptures of four beautiful maidens represent the four seasons. 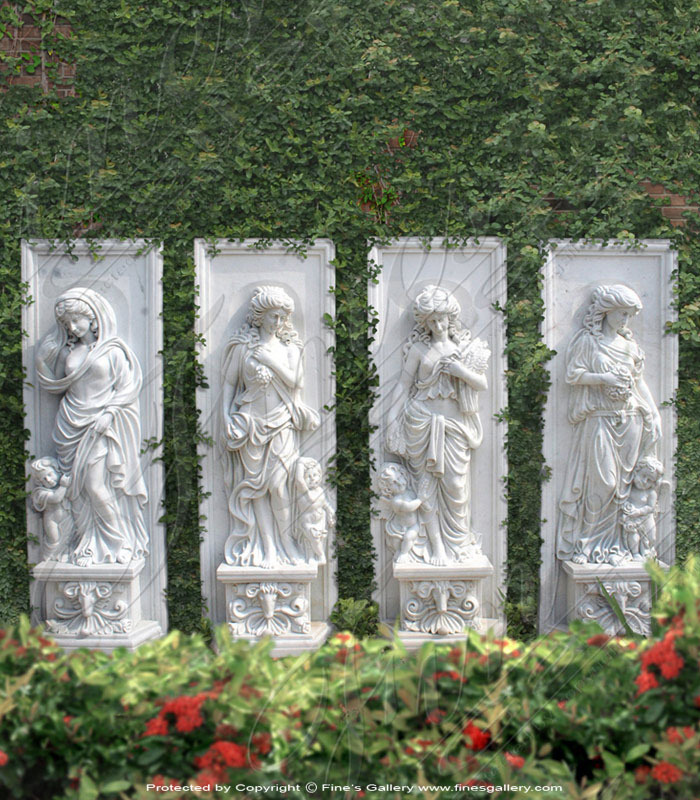 They are hand carved from a strikingwhite marble. 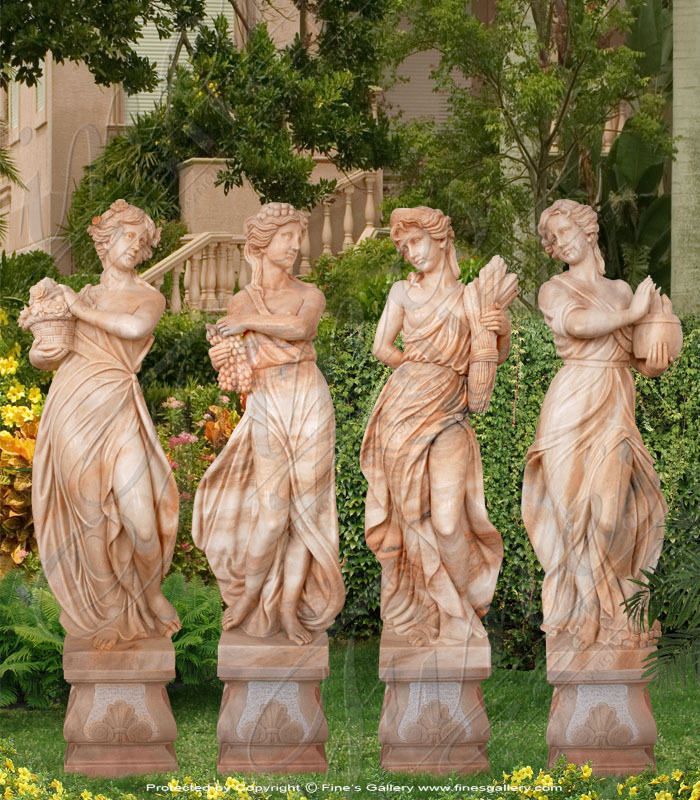 Two out of the four season statues are currently available at this time! 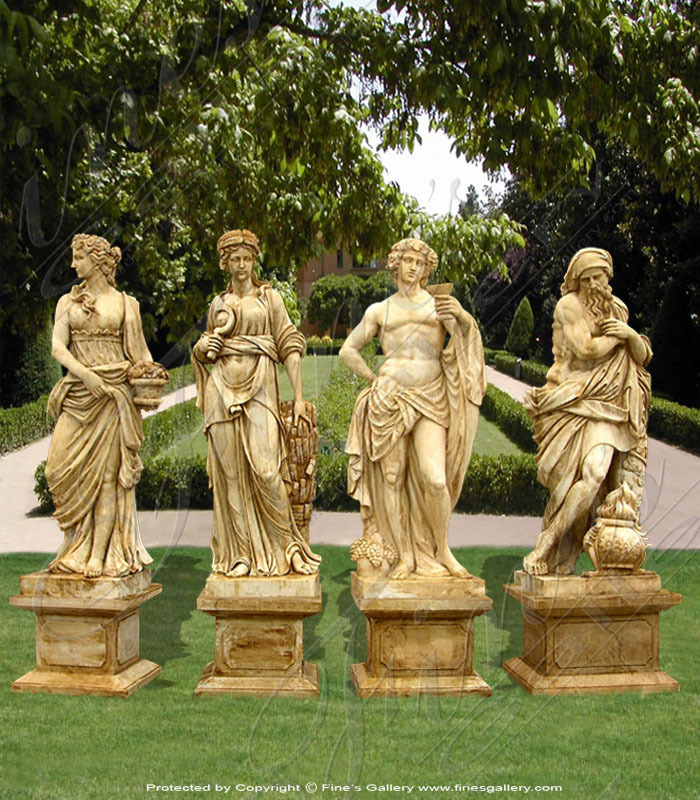 Four majestic beauties to enchant your estate all year round! 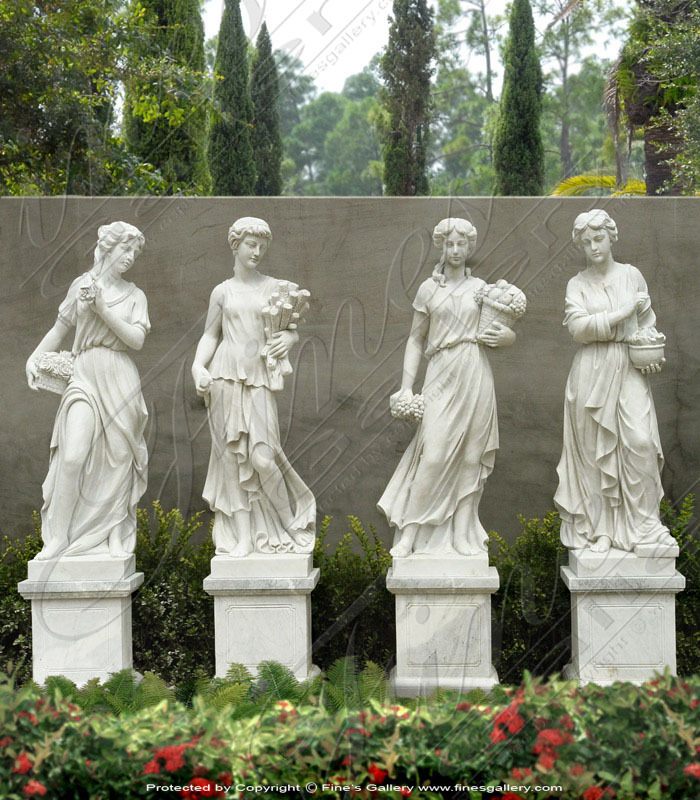 Hand carved fromour lavishRosetta marble, they each represent a different season as well as eternal beauty. You will never grow tired of having them in your home. Call us today. 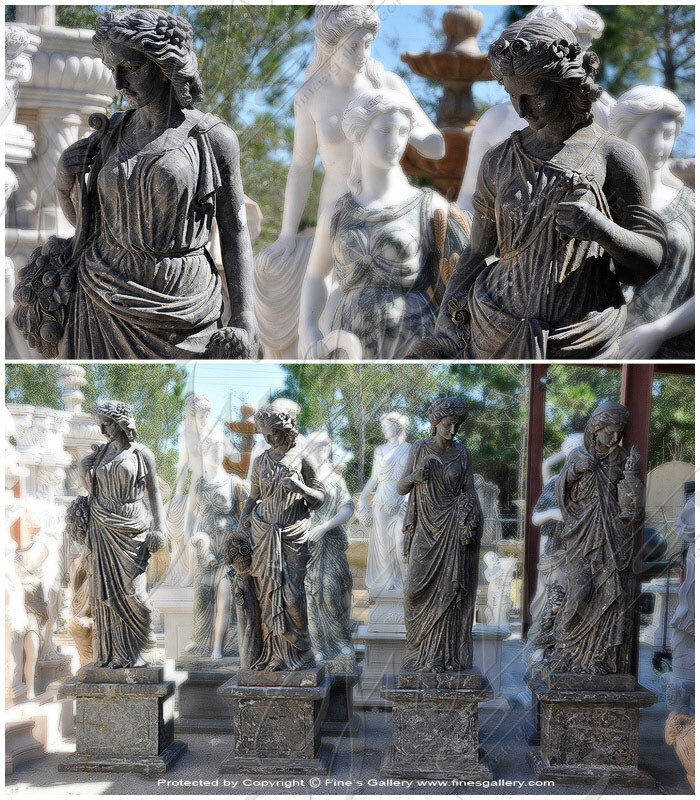 Place this Set Heroic Marble Grecian Statues in your yard or courtyard for a stunning display of courage, elegance, and regal beauty. 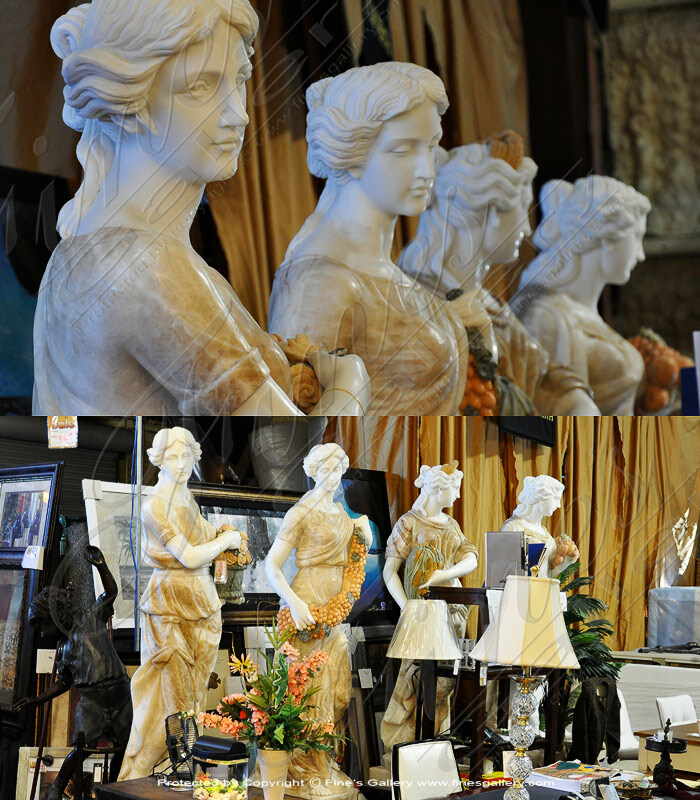 Rare imported european style hand carved statues in a beige travertine marble also available in white marble.